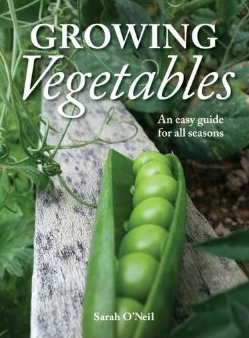 Fellow gardening enthusiast Sarah O’Neil, aka Sarah the Gardener, has written a fabulous new book, Growing Vegetables: An easy guide for all seasons. Sarah grows pretty much all her family’s vegetables on her lifestyle block just south of Auckland, and she’s on a mission to encourage others to grow their own food too. Hence, she’s written this excellent beginner’s (and not-quite-beginner’s) guide to vegetable gardening, with weekly advice, tips, and techniques to employ throughout the season. This really is a great book, with superb tips for both beginners and more experienced gardeners. Close your eyes, family members – everyone’s getting one of these for Christmas. Published by New Holland, RRP $35.00. 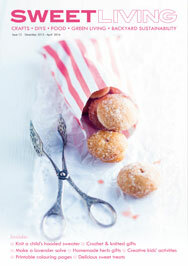 Latest issue out now. A FREE online magazine with crafts, DIYs, recipes, green cleaning solutions, and backyard sustainability. I'm Jane Wrigglesworth, writer, editor and grower of cut flowers who keeps herself pretty busy. I write for the fabulous NZ Gardener and NZ House & Garden magazines as well as having a weekly column in Your Weekend (the weekend magazine for the Dominion Post, The Press and Waikato Times).